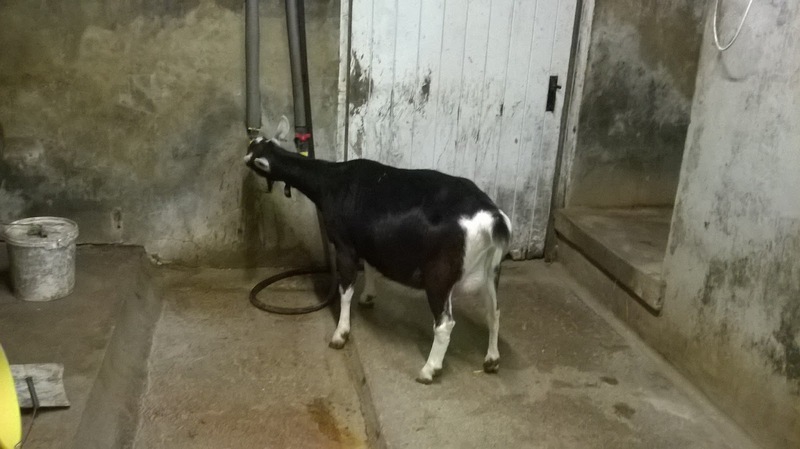 Now I'm not sure if you have met Martha goat before ... She is a black goat, granddaughter of our dear old Betty goat, and refuses to go up the ramp in the milking parlour as she comes through the gate. Instead, she barges past whichever human happens to be on gate duty and plunges herself into the feed wheelbarrow. Then, once she has had a few mouthfuls, she is happy to go up the ramp and take her proper place for milking. 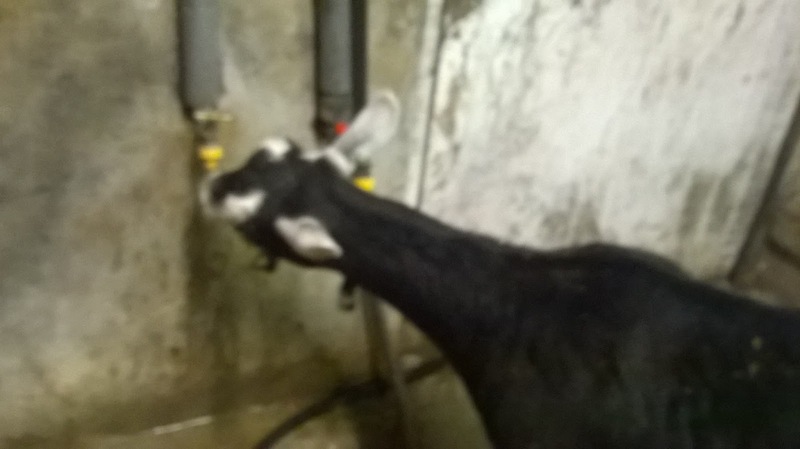 She often watches Husky and Monkey as they trot around 'helping' with milking .. and it would seem that she has been watching them drinking water from the tap in the parlour as last night, this happened ..
Looks like there's going to be a bit of a queue at the parlour water fountain! Let's hear it for Alice!